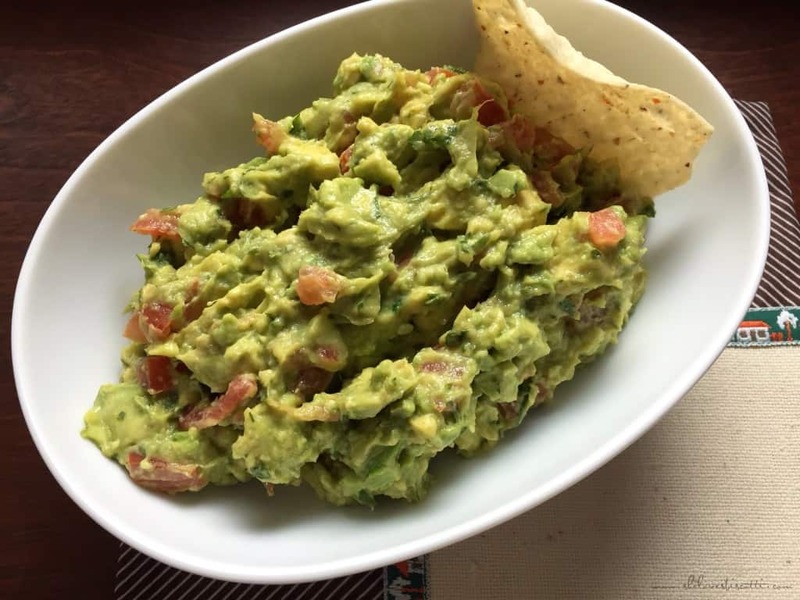 If you are celebrating Cinco de Mayo and are in need of some inspiration, I have the Perfect Chunky Guacamole Recipe for you. 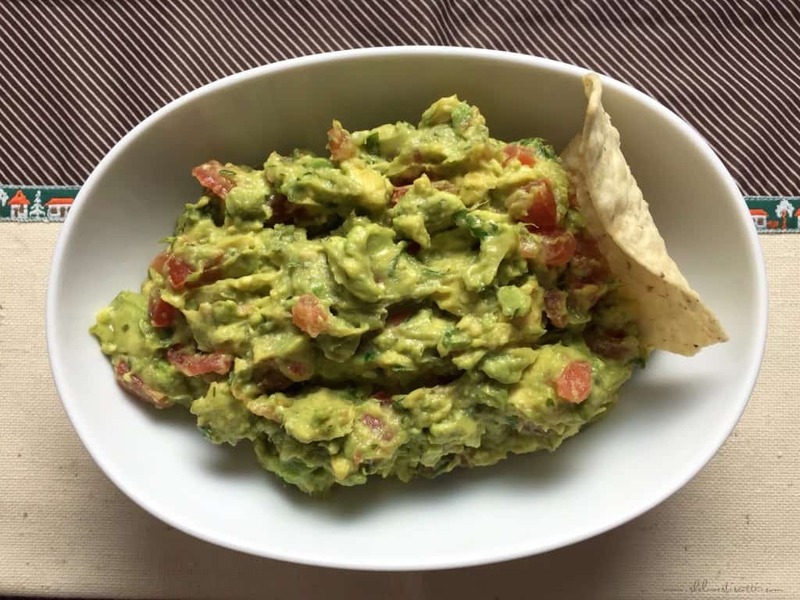 This guac is bursting with flavor and comes together quickly and easily. As you know, the main ingredient in guacamole is avocado. Although it’s true that this green fruit is relatively high in fat, it’s a monounsaturated fat, which is considered to be a good fat (just like olive oil). But that’s not all…avocados are a great source of fiber, antioxidants and all kinds of vitamins. It’s no wonder that this wonderful fruit always makes it to the top of any “super foods” list. But remember, everything in moderation. The best way to tell if an avocado is ripe is by gently squeezing it. It should feel firm but gives in to a gentle squeeze using your palms. When purchasing under ripe avocados, you can speed up the ripening process by placing them in a paper bag with a banana. In a couple of days, they are ready to be used. Ripe avocados should be keep in the fridge. Chubby Checker was definitely not thinking about avocados when his song “Let’s Twist Again” hit the number one Billboard spot back in 1960. But before you can twist, you need to do a couple of things. After your avocado has been washed, make a slit, lengthwise, and slice all around the avocado. Hold the avocado in the palm of your hand and with your other hand, gently twist and rotate the two halves. The seed can easily be removed with the help of a spoon or with the use of a chef’s knife. (a quick demonstration can be found here) At this point, you can make vertical and horizontal cuts in each avocado half. The flesh can easily be scooped out with the help of a spoon. You will see it detaches very easily from its’ outer peel. Have you ever wondered why avocados turn brown once you have cut into them? Basically, there is an enzyme called polyphenol oxidase present in the avocado which upon exposure to air, starts the browning process. If you are interested, here is a great article about the chemistry of an avocado. So the next logical question one would then ask is how can this be prevented. There are some that say leave the pit in the avocado while others will claim that a little squirt from lemon juice will do the trick. Personally, I have tried both methods without much success. My solution is to refrigerate immediately with a plastic wrap directly on the surface. I try to consume the avocado within a 24-hour time frame. Have you ever tried just spreading it on toast in the morning…great way to start the day! Once again, I’ve adapted this recipe from a magazine published by Better Homes and Gardens called “Cook’s Secrets”. The secret, they say, is to start with a perfectly ripe avocado. The original recipe calls for red onion which I replaced with shallots and I added some cilantro. 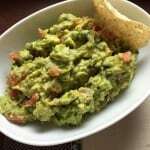 I have often used this perfect chunky guacamole recipe as a sandwich filling when making chicken wraps or even tuna sandwiches. It really is a versatile recipe. 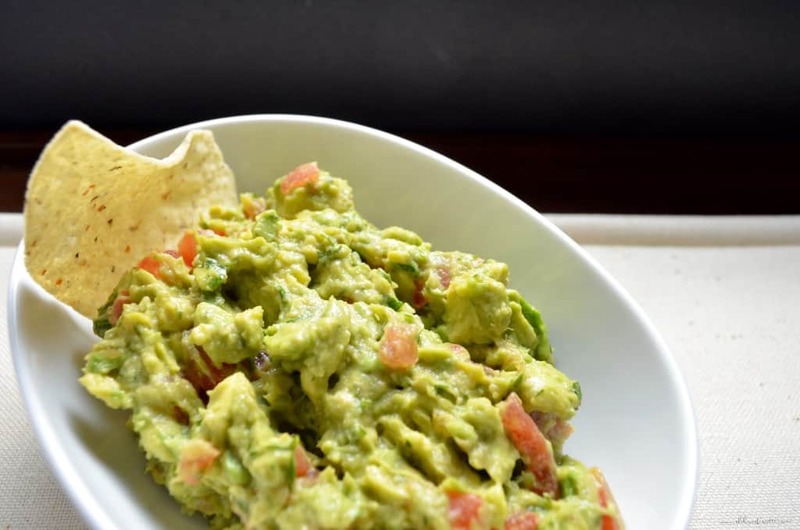 Celebrate Cinco de Mayo with this Perfect Chunky Guacamole Recipe. This guac is bursting with flavor & comes together quickly and easily. Simply the best! 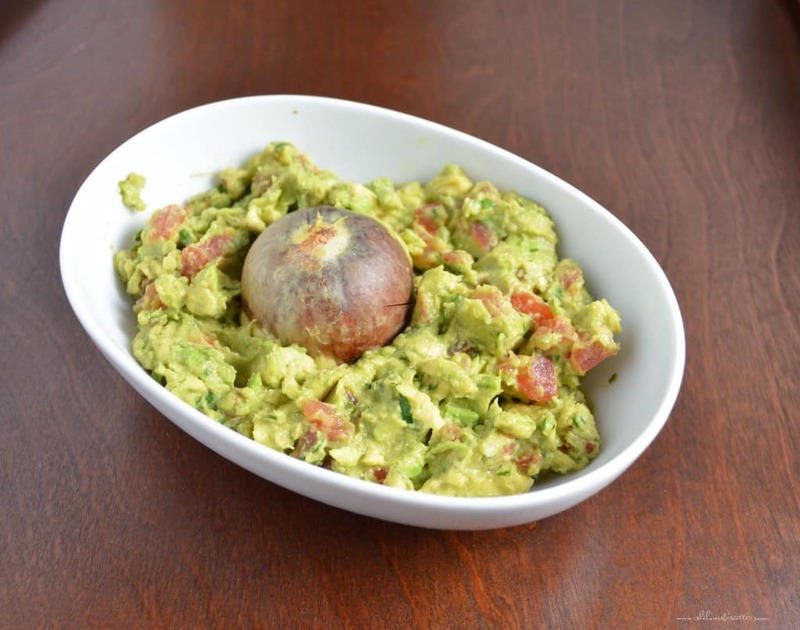 In a large mixing bowl,combine all ingredients except the avocados. Add the avocado (SEE RECIPE NOTES). Gently combine all ingredients together. Serve immediately or cover the surface with plastic wrap and refrigerate. 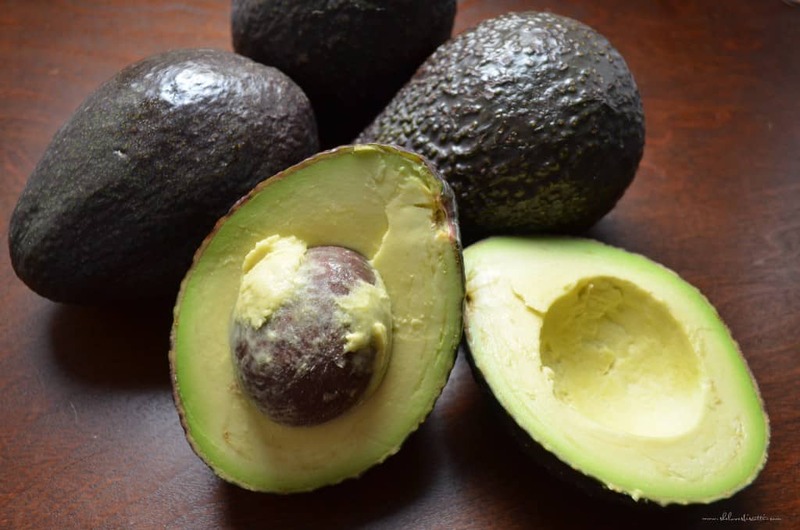 Since avocados will begin to brown as soon as they are exposed to oxygen, make sure you slice your avocado when all the other ingredients are combined. You can substitute the cayenne pepper with a jalapeño pepper or if you can take the heat, a serrano pepper. I agree that putting avocado in the fridge with plastic wrap pressed against it is the best way to keep it fresh looking. Your guacamole looks delicious! Yum, guacamole is my favourite, and I don’t make it enough. Thanks for the reminder and this great recipe! I love that you’ve used shallots here instead of onion- I find raw onion can be a little overwhelming in guacamole. Patio + chips & guacamole! I’m in! I lovvvve adding tomatoes to my guac! I heard an interesting tip for avo ripeness I’ve been testing out lately…if the little stem at the top comes off easily, it’s ripe! We often don’t get nice avos here in winnipeg so I’m super envious of your beautiful guac!